Earlier today GIGA Shipping, a subsidiary of Giga Maritime Group took delivery of two HINO SG2PDPA Prime Mover / Truck Carriers. 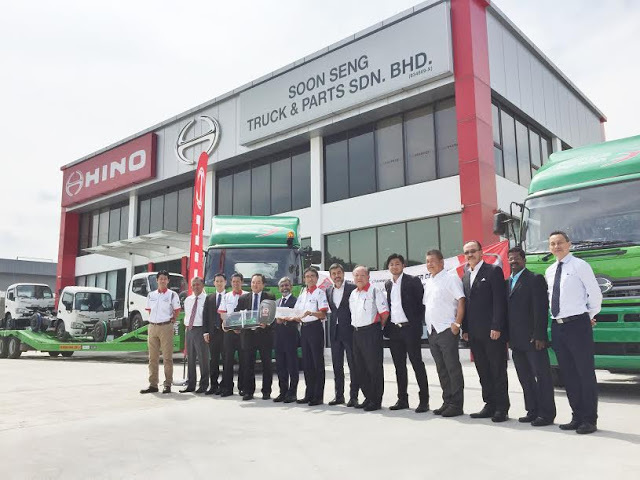 The handover ceremony took place in HINO 3S dealer center, Soon Seng Truck & Parts Sdn Bhd. in Nilai, Negeri Sembilan. It was attended by Mr. Ken Iwamoto, Managing Director of Hino Motor Sales Malaysia who presented the trucks to Datuk Kumar Prabakaran, Managing Director of GIGA .